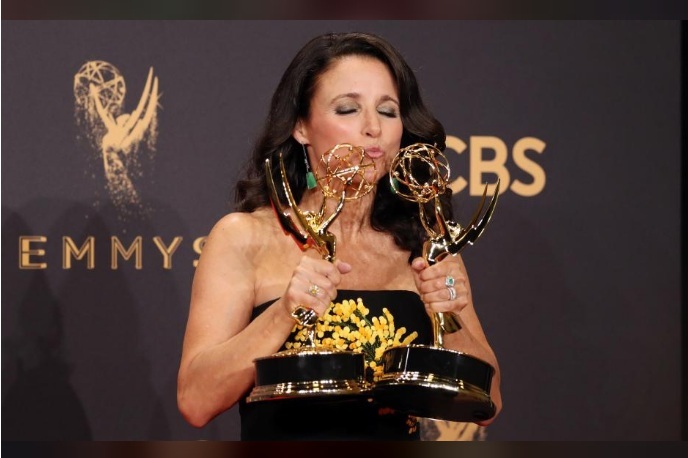 Los Angeles, California, U.S., 17/09/2017 - Julia Louis-Dreyfus holds her Emmys for Outstanding Lead Actress in a Comedy Series and Outstanding Comedy Series for Veep. LOS ANGELES - “The Handmaid’s Tale” and political comedy “Veep” won the top prizes at the Emmy awards on Sunday, where “Saturday Night Live” was also a big winner on a night dominated by jokes about U.S. President Donald Trump. Los Angeles, California, U.S., 17/09/2017 - Julia Louis-Dreyfus is joined by the cast and crew of Veep as she holds her Emmys for Outstanding Lead Actress in a Comedy Series and Outstanding Comedy Series. 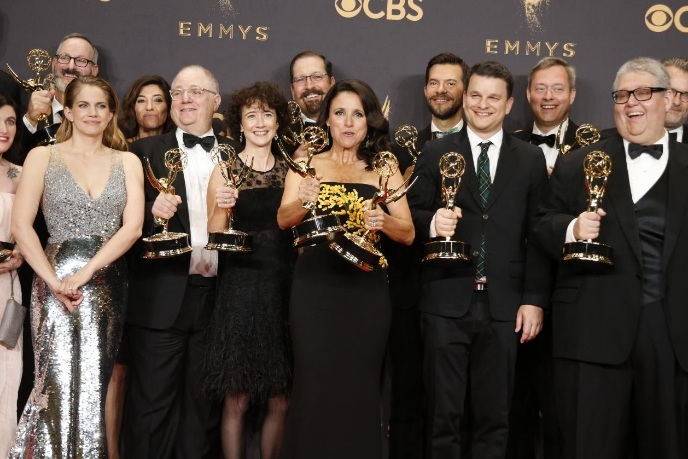 “The Handmaid’s Tale” and political comedy “Veep” won the top prizes at the Emmy awards on Sunday, where “Saturday Night Live” was also a big winner on a night dominated by jokes about U.S. President Donald Trump.